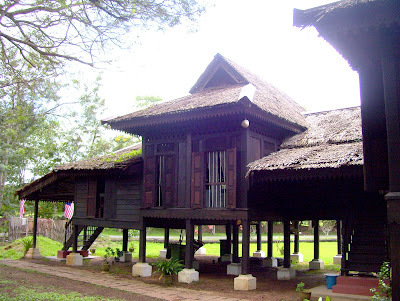 This is a 'kampong' house from Kedah, a state in the north of peninsula Malaysia. 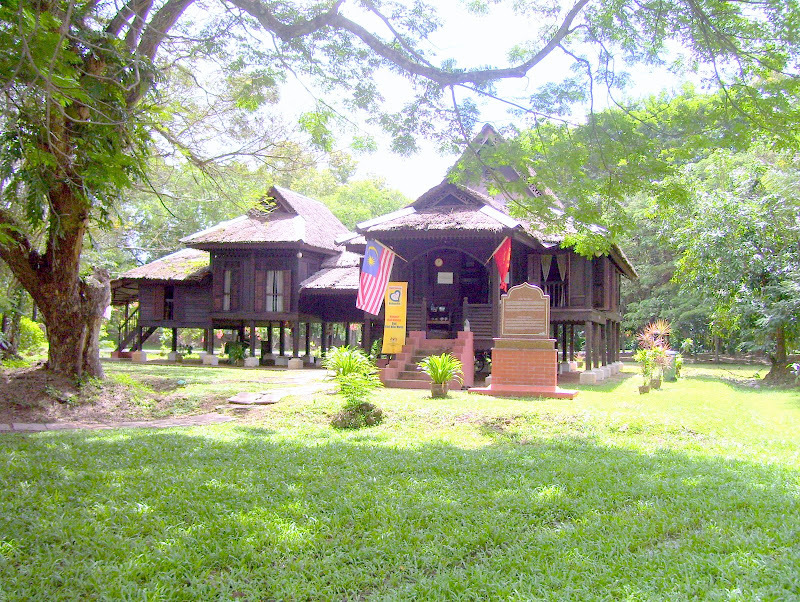 This well- preserved house, were relocated to a park in front of the State Secretariat Office. The frame and wall cladding is made of local hardwoods - assembled without using nails - and the roof is made of 'atap', weaved from palm fronds. We all love traditional architecture, but timber is getting more and more expensive. The cost of per square meter of sawn hardwood is more than the cost of concrete by a factor of 20 or more. Atap roofs are notoriously leaky. These houses are highly ventilated and the lightweight structure has little thermal mass. They are 'ambient' houses that follow the surrounding outdoor temperature. That is fine in the shady countryside. In hotter town areas that suffer from the heat-island effect, they can get uncomfortably warm. It is right that these houses are conserved, but for housing today, they serve as inspiration rather than solutions. 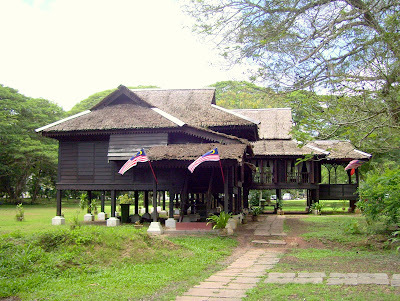 i really love that Kampong House and hope that you would show some more of them. Also it is my hope that the people do not go to the newer and costly construction materials. These old houses are a joy to the eye as well as a way to keep a traditional architecture alive. Good luck on your much deserved campaign for the habitat for all people. Yes, I will post more on these traditional houses. They are still being built but more for resorts and houses for the rich. The tropical hardwoods are getting more and more expensive but perhaps that is the way it should be! It takes years to grow these giant trees! 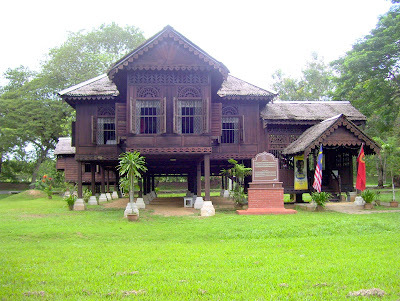 Would anybody know how to contact anyone to do with this kampong house? I would like to try to get plans so that I can build something similar elsewhere in Malaysia. Hope to hear from somebody, thanks. Stumbled on your website today whilst perusing through "timber houses". Loved the Malay houses you posted.Do you have any more pics? 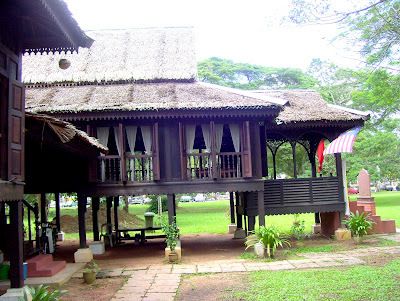 I wonder how a Kampong House would look like with bespoke conservatories attached?=) It might work.